Over the past few years we have seen a substantial rise in national healthcare spending costs. According to The Wall Street Journal, health spending increased 5.6 percent in December 2014 over the previous year. This was after we saw a 4.5 percent increase in December 2013 and a 3.3 percent increase in December 2012. Many people attribute the rising healthcare costs to an increase in the costs associated with certain health services, such as prescription drugs, medical procedures, doctor salaries and more. While there is no question rising healthcare prices impact people’s budgets and can pose a real problem, this is not where the real problem lies. The prices most people pay for their health services have only gone up by 1.8 percent from December 2013 to December 2014. In the past, the blame for rising healthcare costs has been placed squarely upon medical malpractice. 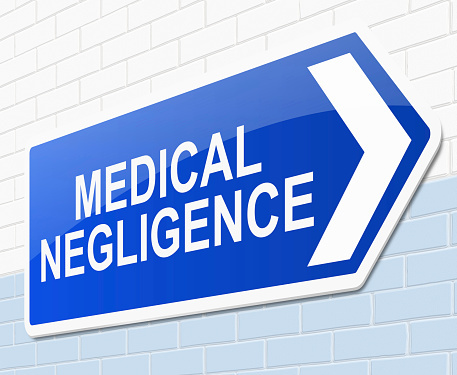 As more healthcare providers began being sued for medical errors, the cost of medical malpractice insurance went up and doctors started turning to more defensive medicine practices. Lawmakers and the medical field itself have been clamoring to introduce medical malpractice reform, claiming it will lower these costs, as well as provide protection for both doctors and patients. The problem is, malpractice reform is not expected to be able to do much to reduce healthcare costs. What Problem Is Malpractice Reform Trying to Solve? Curb the practice of defensive medicine. In reality, doctors face very little personal risk. Even if a doctor is accused of medical malpractice, he or she has malpractice insurance to cover any costs associated with such claims. The New York Times also reports that out of the $55 billion dollars spent on healthcare in 2008, only about $5.7 billion was spent on paying damages to the victims of medical malpractice. Another $4.1 billion was spent on various administrative and legal fees, while defensive medicine was responsible for the remaining $45.6 billion. While malpractice reform may be able to trim a small percent of overall healthcare costs, it will not be able to prevent doctors from practicing defensive medicine and thus incurring the costs associated with such practices. Such reform also fails to address the increasing number of dropped, withdrawn or dismissed malpractice suits and potential false claims. Many malpractice victims are unable to pursue the financial compensation they may rightfully be owed due to damage caps and faults in the malpractice system. Is There a Way to Cut Costs and Reform Medical Malpractice? If we truly want to see medical malpractice reform, leading to a reduction in healthcare costs, a recent study in The Journal of the American Medical Association (JAMA) suggests we may need to look at a few alternative, non-traditional types of reform. A few of these reforms show promise for being able to not only give victims access to the compensation they may be owed, but to be able to cut the high costs of healthcare as well. These alternative reform ideas could lead to some significant changes in the field of medicine.